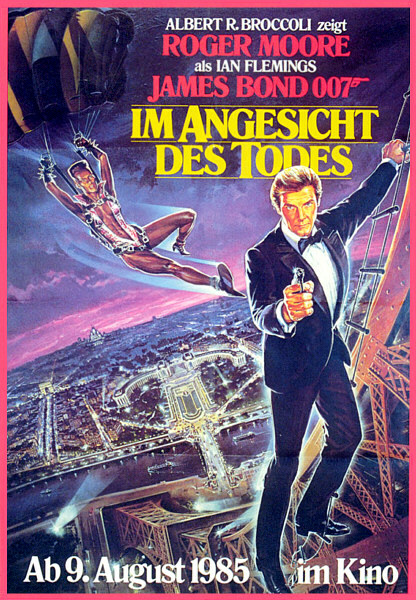 When Bond is sent to investigate a security leak at the high-tech Zorin Industries, he discovers a hotbed of murder and deception. The company's mysterious owner, Max Zorin has devised a plan to corner the world microchip market, even if he has to kill millions to do it! But before Bond can stop Zorin, he must confront the madman's beautiful and deadly companion May Day. 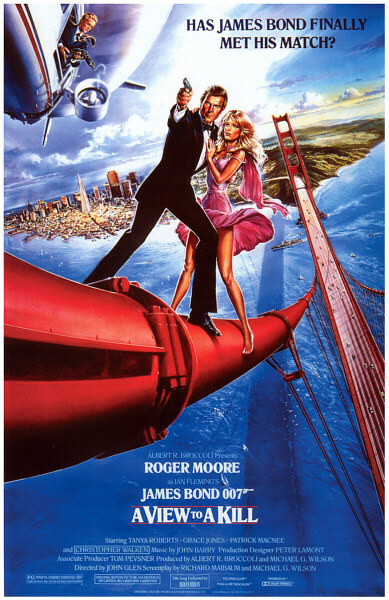 With help from the gorgeous Stacey, Bond will launch an all-out assault on Zorin's deadly scheme, climaxing in a spine-tingling duel on the upper spans of the Golden Gate Bridge. 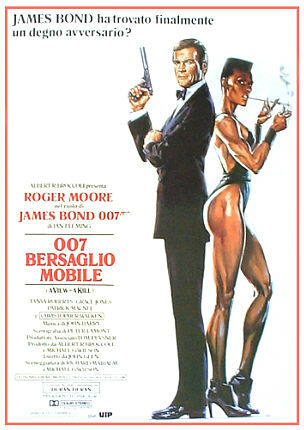 Moore goes out with a bang in his final Bond film..., 28 October 2004 Author: AMovies2006 from California, USA Roger Moore's seventh and last Bond film was a Bond film which could have already featured another actor to replace Moore as Bond. 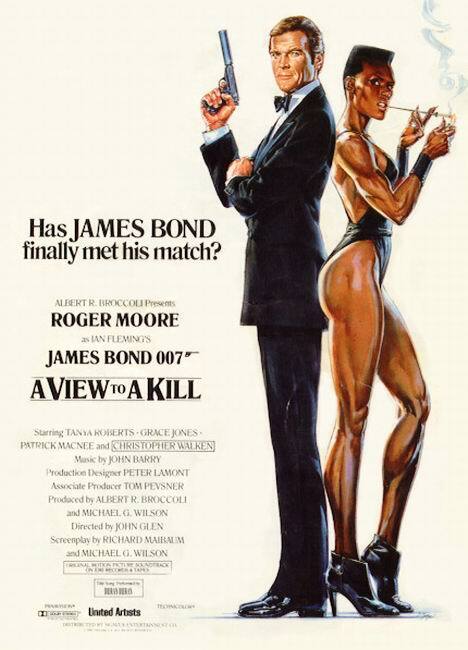 It was released 12 years after his first Bond film, Live and Let Die, and Moore at this point in time definitely looks too old to play James Bond. It doesn't mean that his performance is weak. 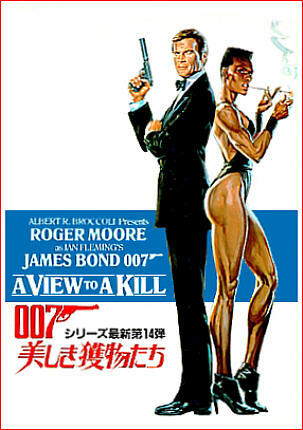 A View to a Kill is not necessarily a bad movie as most would actually claim. 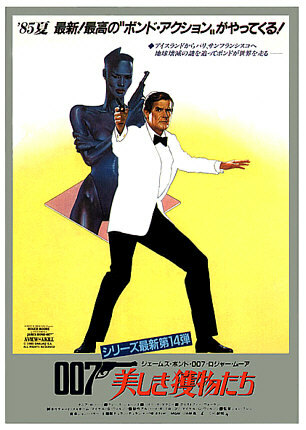 It has enough moments of suspense and a plot to make the film good enough for Roger Moore to leave the Bond series with a blaze of glory.Bond's mission this time takes him into the emerging age of computers. A microchip developed to resist the radiation of a nuclear attack has been leaked from its manufacturing plant after being purchased by Zorin Industries. 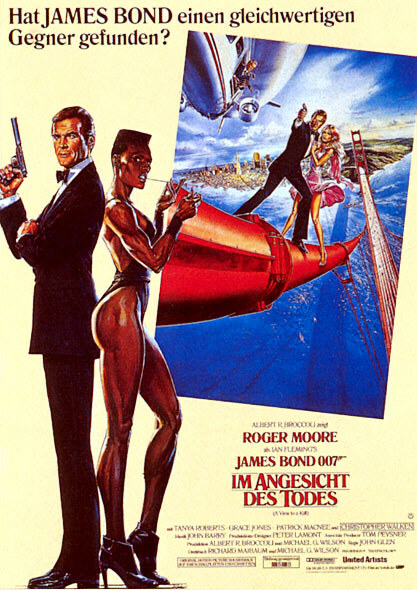 Bond's investigation into the activities of Max Zorin goes from a horse race scheme to a grandiose plot to destroy Silicon Valley. 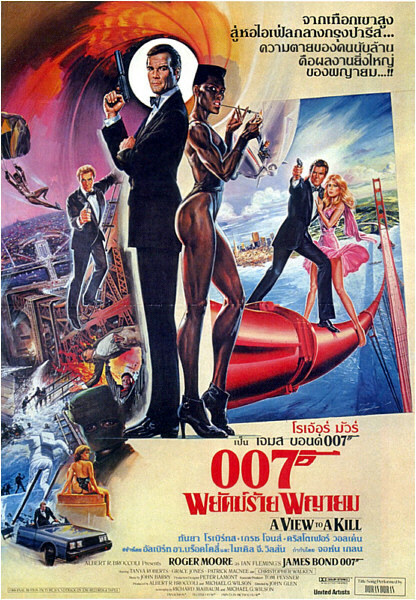 With the help of a geologist, it is a race against time before a catastrophe could allow Zorin to monopolize the market of microchips.The other actor besides Moore worthy of note is Christopher Walken, the only Oscar-winning actor to play a Bond villain. He had received an Academy Award for Best Supporting Actor for his tragic role in The Deer Hunter from 1978. Since then, Walken has played a variety of roles involving mentally disturbed characters, even though later on he would simply be known for humorous monologues in short scenes. The role of Zorin is another chance for him to play someone psychotic. 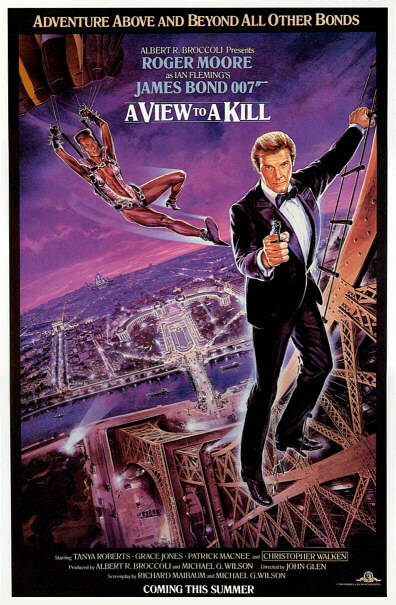 He doesn't do a bad job with this one, though I would have liked a more menacing Zorin.What I like about the film are the action scenes, particularly the scenes at the San Francisco City Hall and the Main Strike mine. 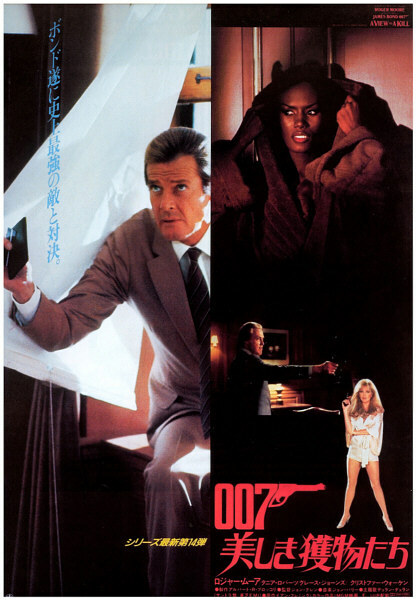 I remember seeing this movie for the first time as a kid and how I felt the suspense of a fire in an elevator shaft or the film's climactic fight. 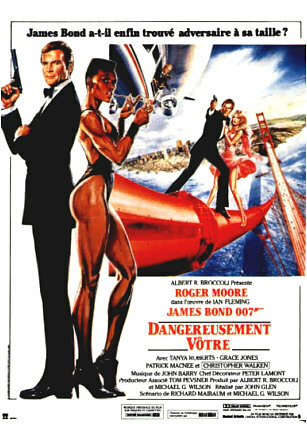 There is also something about having the film take place in France and San Francisco, California that makes the scenes more memorable. 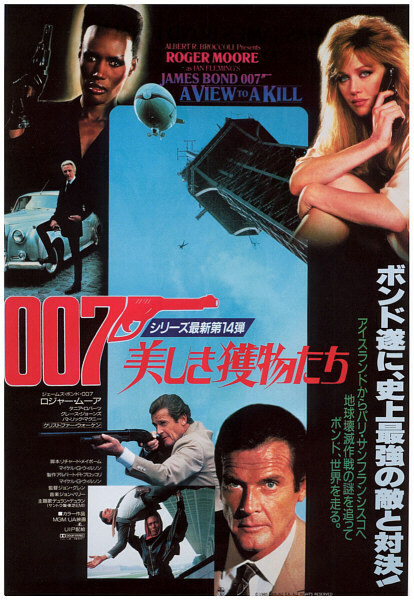 The humor in the action scenes is not excessive, and the film is perhaps one of the more darker Bond films out of Moore's seven.While some Bond fans would put A View to a Kill at the bottom of the list after ranking all the Bond films, I would put this one somewhere in the middle, leaning towards the upper half. 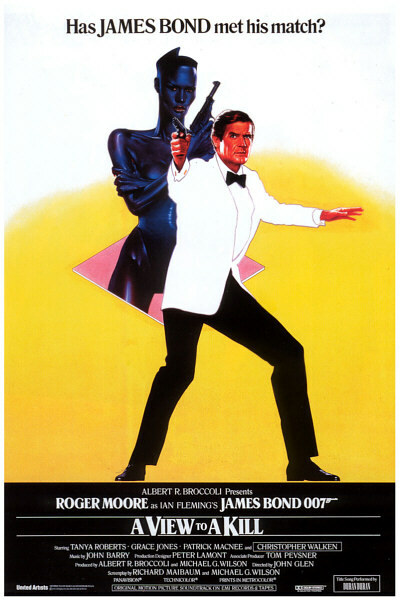 It's not exactly The Man With the Golden Gun. 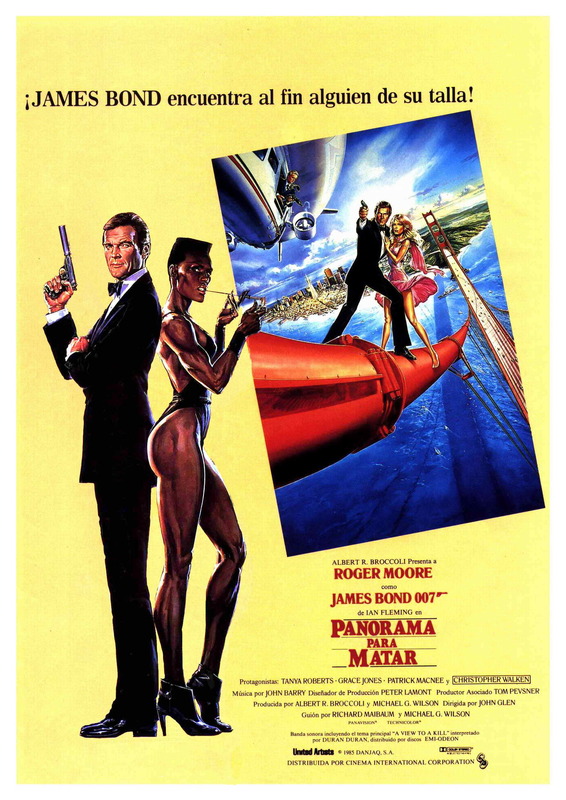 Another reason to praise this Bond film is that its title song by Duran Duran is the only Bond theme song ever to reach #1 in the charts in the USA. 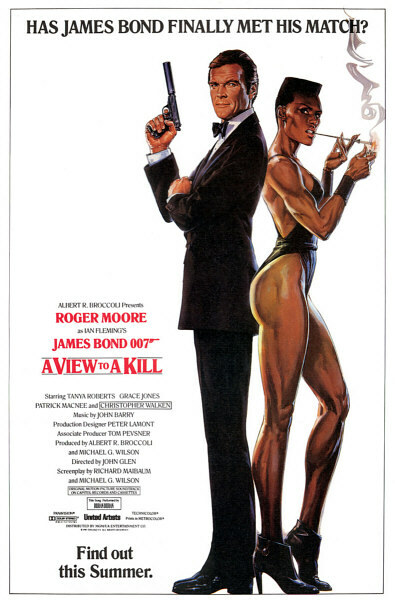 That, along with interesting plot and characters, makes A View to a Kill a fun ride all the way through, and again, it's just the way for Roger Moore to finally hang up his tuxedo and turn in his license to kill.